As we were slacking off and messing around on BMW’s online configurator for the 8-series coupe, something caught our eye. 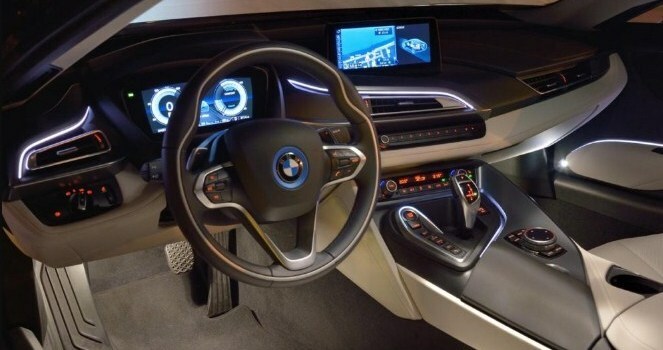 In a sea of fairly boring, dark interiors, a new two-tone interior color scheme had appeared in the list of fancier options from the BMW Individual customization division that wasn’t there a week ago. The two interiors are extremely similar not just in color but in the distribution of it. (Check out the above gallery for a comparison.) Both cars have brown on the carpets, upper dashes, and the tops and bottoms of the door cards, while nearly everything else is white. This interior scheme isn’t the only recently added BMW Individual option that we noticed. Aventurin Red Metallic, shown below, is a new $1950 option that’s the only listed Individual paint color-existing non-Individual colors Dravit Grey and Tanzanite Blue II cost the same amount, though-and it’s also the only actual red available. Other available Individual options on the 8-series include additional chrome exterior trim and different wheel designs. We reached out to BMW to ask about the new options, and BMW spokesperson Oleg Satanovsky told C/D that the number of Individual options available from the factory (and available on the configurator) has been increasing.